Kaunas University of Technology (KTU), Lithuanian Ministry of National Defence and Lithuanian Armed Forces are organising the first defence hackathon in Lithuania. The hackathon will take place on April 12–14 at the Lithuanian Duke Vaidotas Mechanized Infantry Battalion in Rukla. The teams will be challenged to bring new ideas and prototypes to life during a single weekend. The collaboration between science and armed forces has been taking place since the restoration of the Lithuanian Independence in the 90-ies. 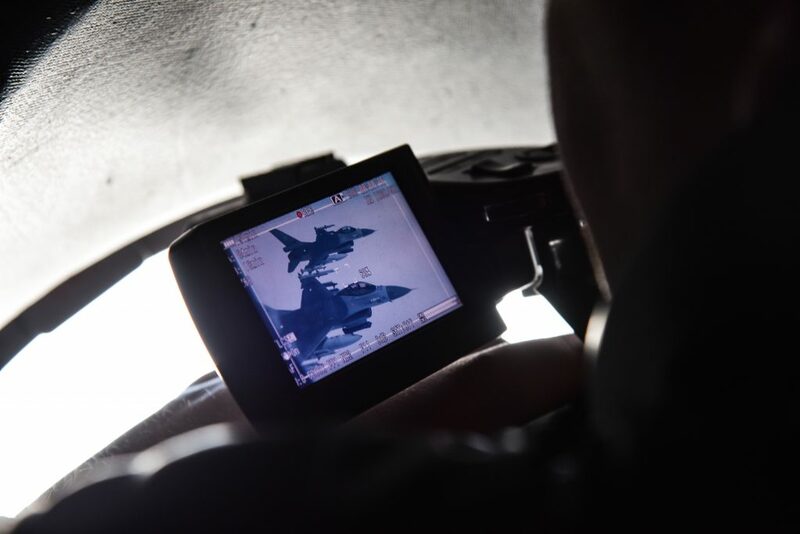 The innovative solutions created by the researchers are being used not only in everyday trainings, but also in high-profile NATO training courses. Everyone serving in Lithuanian Army are certainly having hands-on experience of using innovative products created by our researchers, such as laser shooter training system located in Rukla. “Laser shooter training system is an intelligent product, developed using the most recent advancements of mechanical engineering field. In the system, infrared rays are imitating a full shot range. Our training systems have used in AMBER ARROW, BALTIC ZENITH 2018 NATO training courses with great success, so we will continue to cooperate in the future”, says Professor Algimantas Federavičius, Director of KTU Institute of Defence Technologies. According to the users of the laser shooter training system, the equipment not only helps develop weapon handling skills, but also is useful in training personal qualities of military officers. Also, the usage of shooting simulator rather than real weapons is economically feasible, as there are no costs for cartridge and logistics. It is expected that similar innovations will see the daylight during the hackathon in April. The format and the idea of the event attracted a great number of Lithuanian businesses. “Contemporary defence technologies are focusing on cyber security, ICT technologies, intelligent sensors – it can even be said that military field is moving from tranches to the computers. These topics are in the focus of DELTA1 hackathon, and our company is pleased to be able to support this very important initiative by providing organisational support, mentorship and by establishing a prize for a winning team, which will help them to develop the idea further”, says Gytė Gedvilaitė-Hansen, Director of Sales and Innovation at Elsis PRO. Elsis PRO, information systems and software development company who has been cooperating with Lithuanian Armed Forces and carrying out projects in defence field for many years is well aware of the challenges addressed in the hackathon. Centric IT Solutions Lithuania, Kaunas headquarters of the Ducth IT giant established a prize of EUR 1,500 thus confirming the importance of cyber security in contemporary defence. “We are working with cloud engineering solutions, where cyber security is of upmost importance. We hope that our financial support will encourage the young researchers and defence enthusiasts to develop different activities in this field”, says Agnė Jankauskė, Talent Acquisition Specialist at Centric IT Solutions Lithuania. The prize fund of the three-day hackathon DELTA1 is EUR 6,000. The teams with the most interesting and innovative solutions will be selected by the board of experts from research, business and experts of the field. Registration to the hackathon is open until next Tuesday, March 30.